Port Vale boss Neil Aspin has an unchanged squad for the home game against Notts County. Tom Conlon came off at half-time during the victory over Bury but the midfielder's substitution was tactical, rather than because of injury. Cristian Montano (knee) resumed training on Tuesday and, along with Manny Oyeleke (muscle), has been pencilled in for a reserve outing against Wigan next week. Aspin is still looking to bring goalscorers to the club to share the burden with striker Tom Pope, who has scored six of Vale's 15 goals this season. But there are no problems at the other end, as Aspin's side look for a fifth straight clean sheet in all competitions. Notts County boss Harry Kewell could make changes as he looks to halt a three-match losing run in League Two. The likes of Shaun Brisley, David Vaughan, Nathan Thomas and Kristian Dennis are options for the Australian. Centre-half Richard Duffy has been sidelined by a hamstring injury and is close to ending a two-month absence. On-loan Brighton defender Ben Hall is back at his parent club to undergo treatment on a groin problem. Highlights of the Sky Bet League Two clash between Port Vale and Bury. None of the last 18 league encounters between Port Vale and Notts County have ended level, with Port Vale winning nine and losing nine. 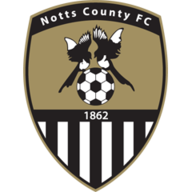 Notts County won both league games last season by a 1-0 scoreline, they haven't won three in a row against Port Vale since September 2009. 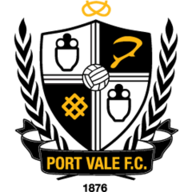 Port Vale have kept three consecutive clean sheets in League Two (W1 D2) - they last went on a longer run without conceding in September 2010 (run of five). Only Macclesfield (7) have lost more away league games across the top four tiers of English football this season than Notts County (6). Only Swindon's Michael Doughty (4) has scored more goals from the penalty spot than Port Vales Tom Pope (3) in League Two this season.